President Barack Obama announced late Sunday night that Osama bin Laden was killed in firefight during a U.S. ground operation in Pakistan, ending the 10-year hunt for the world’s most wanted terrorist. Officials say Mr. bin Laden’s body is in American possession. Whether he truly was or was not the operational leader of al-Qaeda, it still remains to be seen how his followers will react. This death has the potential of turning the page in the war in Afghanistan, and it’s also possible that Mr. bin Laden’s followers will make him a martyr and find themselves further encouraged. Michael Scheuer, former chief of the CIA’s bin Laden unit, wrote in the biography Osama bin Laden that Mr. bin Laden “has anticipated a war of attrition, one that might last decades” and “has given no indication that he expects to live long enough to finish the job.” Mr. Scheuer believes that younger al-Qaeda activists have already been well groomed for the future. Since founding al-Qaeda, bin Laden has anticipated a war of attrition, one that might last decades; he has therefore planned ahead. Describing the jihad as multigenerational, bin Laden indicated shortly after 9/11 that the torch was being passed. “We have been struggling right from our youth,” he wrote, and, in turn, the “whole of the Muslim Ummah is depending (after Allah) upon the Muslim youth” to make the same sacrifices. Indeed, one reason for bin Laden’s often lengthy post-9/11 silences might well be that he is giving the next generation of al-Qaeda leaders—men such as Abu Yaha al-Libi and Azzam al-Amriki—the chance to become familiar faces and voices to al-Qaeda’s audience. The question is, of course, what threat will a new generation pose? It comprises those who learned their trade in insurgencies in Iraq, Chechnya, the north Caucasus, southern Thailand, Mindanao, Kashmir, and Afghanistan, as well as in the ongoing Talebanization of Bangladesh, Pakistan, and northern Nigeria. The available data suggests three discernible trends. This rising generation will be, first, no less devout, more professional (and brutal), and less visible; second, larger, with more adherents and potential recruits; and third, better educated and more adept at using modern tools, especially weapons and communications. Easily accessible satellite television and Internet streaming video are deepening and broadening Muslim perceptions of an anti-Islamic West; neither Western diplomacy nor military/intelligence forces can negate the power of real-time video of the wars brought by Western invaders to Iraq, Palestine, and Afghanistan. New, harsher antiterror laws in North America and Europe, along with lurid tales from Guantanamo Bay, Abu Ghraib, and Bagram prisons are hardening perceptions. And the fundamentalization of the two great, evangelizing monotheist faiths is fueling a milieu already conducive to radical Islam. Militant Catholicism in Africa, especially, is revitalizing the historic Islam versus Christianity confrontation, creating a sense of threat and defensiveness on each side. Increasingly, al-Qaeda and its allies have been drawing members mainly from the educated middle and uppermiddle classes, those who are comfortable accommodating their categorical rejection of Western culture with a willingness to embrace the latest technology. Insurgent technicians continue to build improvised explosive devices (IEDs) and car bombs that can defeat U.S. detection/jamming technology; indeed, each new defensive technology is soon trumped by better insurgent weapons. In addition, al-Qaeda logisticians and trainers have diffused IED-building techniques to fi ghters in Yemen, Thailand, Somalia, and Pakistan. 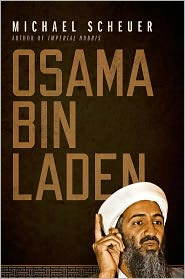 Bin Laden’s media also are the most sophisticated, flexible, and omnipresent that U.S. forces face. They produce nearly real-time video of mujahedin attacks on coalition targets, interviews with insurgent leaders, and a fl ow of news to 24/7 Arab satellite networks. I think this said it all…”Bin Laden’s media also are the most sophisticated, flexible, and omnipresent that U.S. forces face. They produce nearly real-time video of mujahedin attacks on coalition targets, interviews with insurgent leaders, and a flow of news to 24/7 Arab satellite networks” I would say welcome to a new world, but the news media has been both a help and a hindrance towards freedom and peace forever. Yet everyone of us would lay-down our lives to protect these rights. Am I right?